This is a beauty! A rare find for an early-date Lincoln! "Box Era” Lincolns had the toughest time when packaged due to reactions between the packaging and their copper composition. 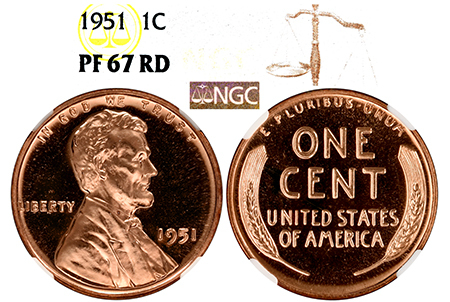 This 1951 is how a Proof Lincoln is meant to look, with rich, red surfaces that are free of haze and visible hairlines. Fully brilliant, this 1951 Lincoln cent has superb eye-appeal!